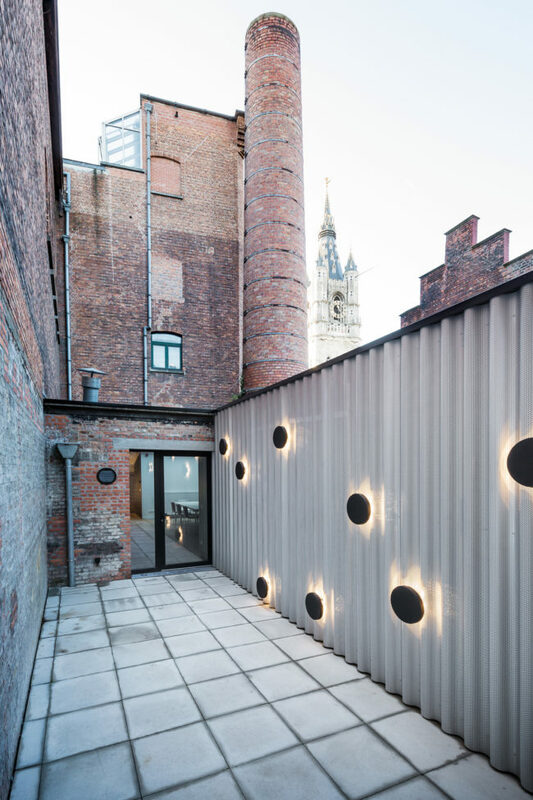 The dramatic renovation of the Stadsschouwburg Gent consists of two technical interventions regarding the theatre hall. 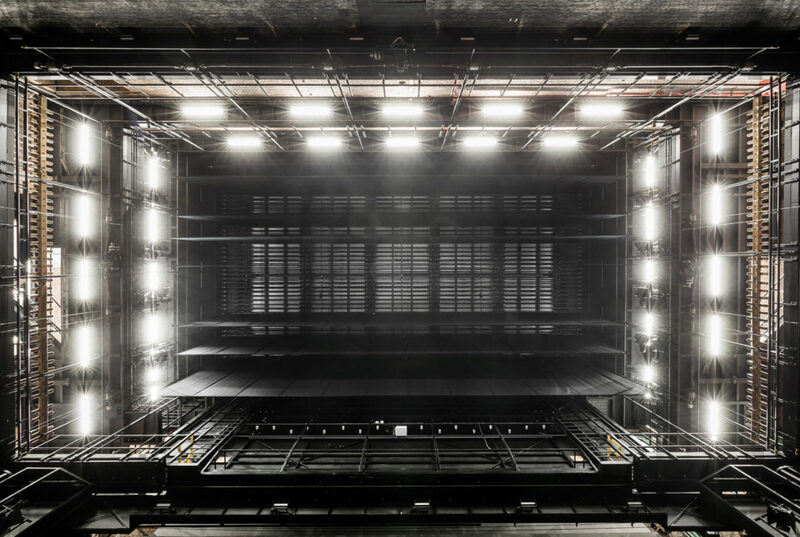 First the fly tower is completely dismantled to replace the current manual theatrical rigging system with a computer operated system as demanded by European legislation. Second the loading and unloading docks are renewed since they were no longer in compliance with the current health and safety regulations. 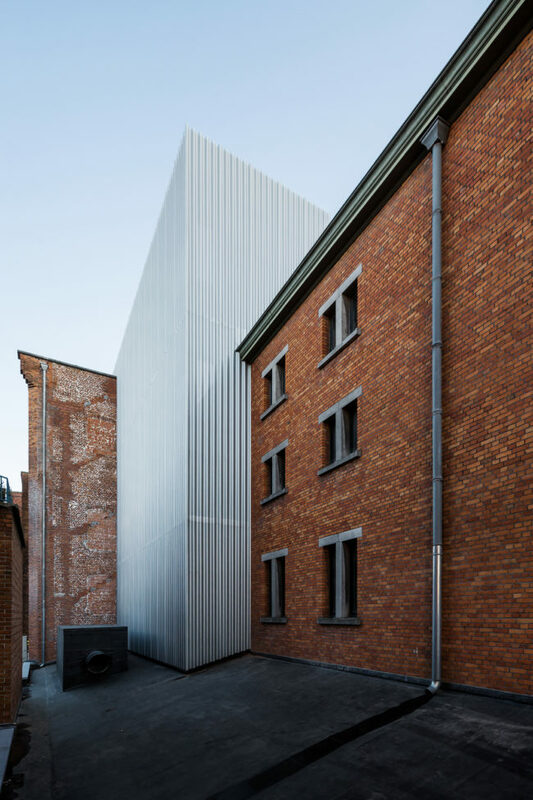 The unloading docks, now at the Biezekapelstraat, are moved to the côté jardin (left side) of the theatre that can be accessed from the Sint-Baafsplein. 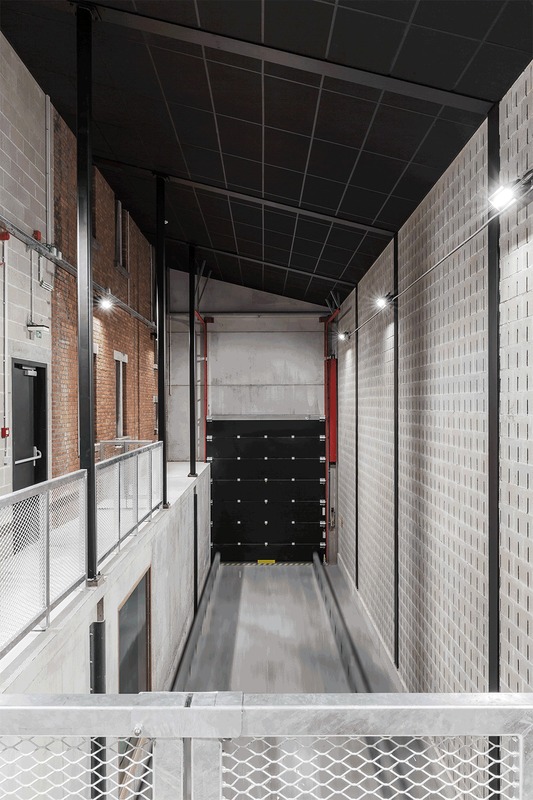 Trucks will park reversely into an acoustically insulated box that will lift them to a higher floor. This enables loading and unloading at the precise height of the stage floor which will improve efficiency as well as safety. 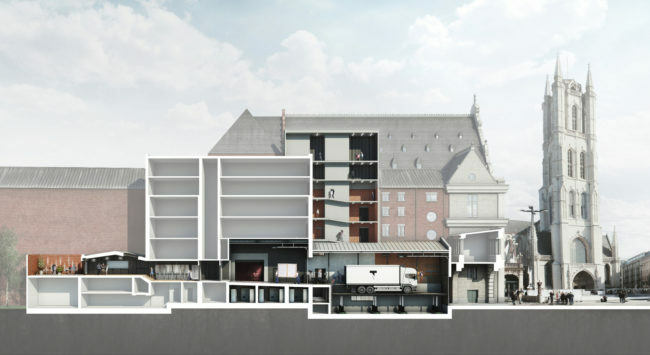 To make this intervention possible the côté jardin box seats will be stripped off completely and a two storey high loading dock will be built in direct connection with the stage. 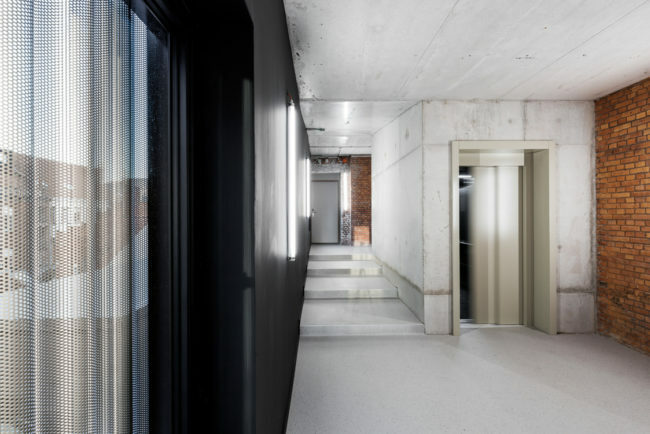 Also the circulation between front and backspace will be optimized, as well as the access to the rehearsal rooms in the attic. 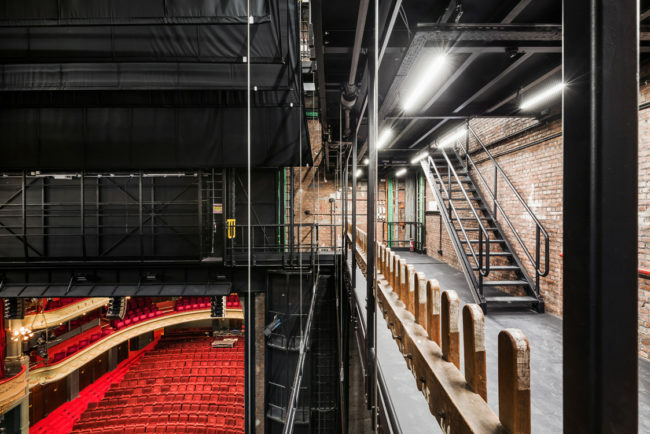 The access to the theatre hall for the physically impaired audience will be guaranteed by a new elevator volume covering all existing floors. Quick change rooms, box seats for groups and storage areas will equally be renewed. 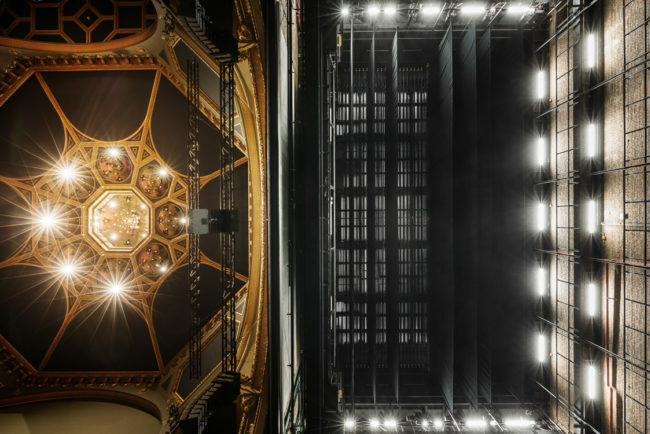 The old and heavy fire curtain closing off the stage from the seats will be replaced by a new and lighter curtain in compliance with current demands. It will be integrated in the new fly system and steel structure.